Birding by ear, or learning to identify birds by sound, is a valuable skill for any birder to develop. By understanding and recognizing bird sounds rather than relying on visual identification only, you can have a much richer and more enjoyable birding experience, and will be able to identify birds when you can't always see them well. Many birders focus primarily on learning to identify birds by sight based on plumage, colors, and field markings. 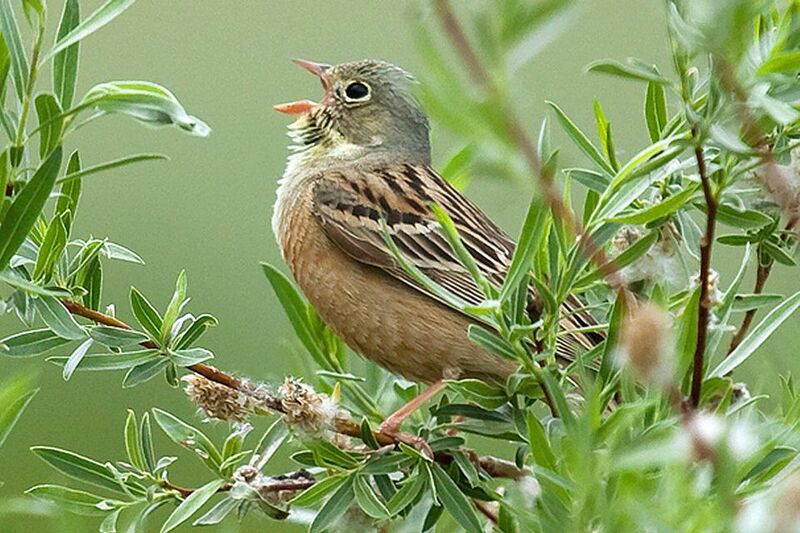 Learning to identify birds by sound, however, can help birders identify many birds whose songs and calls are more distinctive than their appearance. Tuning your ear to a bird’s song can also help you locate birds more easily instead of relying only on brief flickers of moment through dense trees and brush. Birders who recognize birds’ songs can also enjoy birding when low light levels and poor visibility may restrict visual birding. Most important, however, is the fact that a bird’s song is yet one more clear characteristic for the bird's positive identification. The more traits you have to compare, the more confident you can feel about identifying birds. It takes practice to effectively identify bird sounds, but just as with identifying birds by sight, it only takes a few steps to really feel comfortable with this identification technique. Get Familiar: Listen to common bird calls and songs for your regional species so you know what tones and sounds to listen for in the field. Recordings are available from bird compilation CDs, websites, specialized books, and electronic downloads. Use multiple resources to help you practice listening to bird songs and tune your ears to the right notes. If you can easily recognize the most familiar, common birds, you will be quicker to recognize when a bird sounds different. Visit Early: Birds are more vocal with distinctive songs in the early morning since still, cool air will carry their songs further and louder. This also makes the songs easier to identify if you are birding early in the day. This is especially important during spring and early summer when birds are part of the dawn chorus, and more birds will be vocalizing. Be Still: Birds have sensitive hearing and may fall silent if they feel threatened or disturbed by approaching birders. Walk slowly and carefully along a trail, stopping to listen frequently along the way and giving the birds a chance to use their voices. When you hear a bird, tune out other noises and focus only on the bird, turning your head from side to side to help pinpoint the direction of the sound. Minimize any other noises, such as rustling clothes, turning the pages of a field guide, or scuffing through leaves or grasses. Identify Call Types: The first step in identifying the birds you hear is to understand what calls they are making. Birds make many different types of sounds, and threat calls, alarm or distress calls, and regular songs can sound very different even from the same species. If you know which calls you’re hearing, you’ll be able to identify the birds making them more easily. Pitch: How high or low is the song? How does it change in a single call? Where in the song does the pitch change? Quality: Would you describe the song as a warble, buzz, rattle, screech, whistle, bugle, or some other tone? Are there different tones in the same song? Length: How long is the song? Can you count the seconds it lasts? How long does the bird sing, even if the song is repeated? Tempo: How many beats does the song have? How quick are those beats? What pauses are part of the song? Volume: Does the song change volume? If so, where and how? Do different birds sing similar songs but at different volumes? Repetition: Are the same syllables repeated several times? How many times? How many similar sequences are part of the song? Mimicry: Are there any unusual tones or sequences in the song that sound like other things, such as car alarms, door squeaks, or loud tools? This could be the work of a bird mimic. Once you’ve clearly distinguished the song, compare it to your field guide or audio resources to try to identify the bird. At first this may be difficult unless you are able to see the bird as well, but with practice you will learn to identify many birds by sound alone. Start with the birds you are most familiar with, including your backyard birds. Because you see and hear these birds most often, you will be able to practice and perfect your birding by ear techniques while being certain of the birds’ identities. Learn the regional accents of your local birds. Many birds develop geographic variations in their songs that can make identification more challenging, particularly if you travel while birding. Take notes on the bird sounds you hear in a field journal or notebook. By writing detailed descriptions of the sounds, you’ll force yourself to listen more closely and you will have a reference to use when comparing to audio clips or field guides. Most of all, have fun listening to birds and learning their language, even if you can’t always identify them by sound alone. Just as it is impossible to visually identify every bird in the field, it will also be impossible to identify every bird you hear. Perfecting your bird sound identification techniques, however, can make this hobby even more rewarding and you will better appreciate the diversity of bird life you see and hear.